Once I had a bit better of an understanding about leather types, I was curious, in what ways can I buy it? In what thicknesses? In what shapes and sizes? 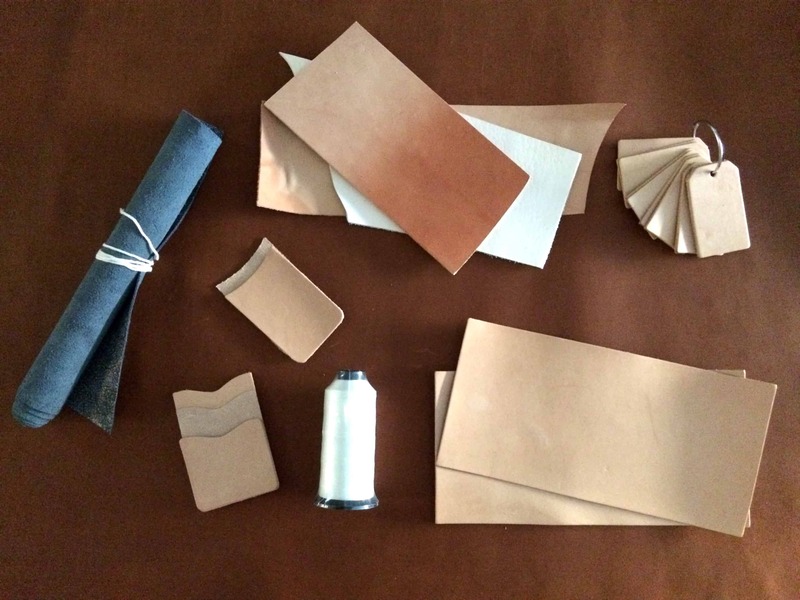 There is a lot to know about leather thickness, weights, & cuts, here’s an overview. 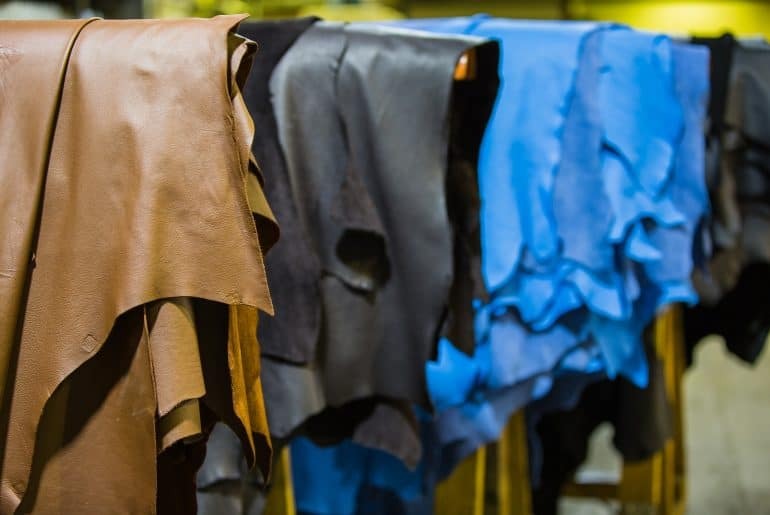 Leather hides are split into different thicknesses during the tanning and production process. Different thicknesses can be used (and have benefits) for different end-products. 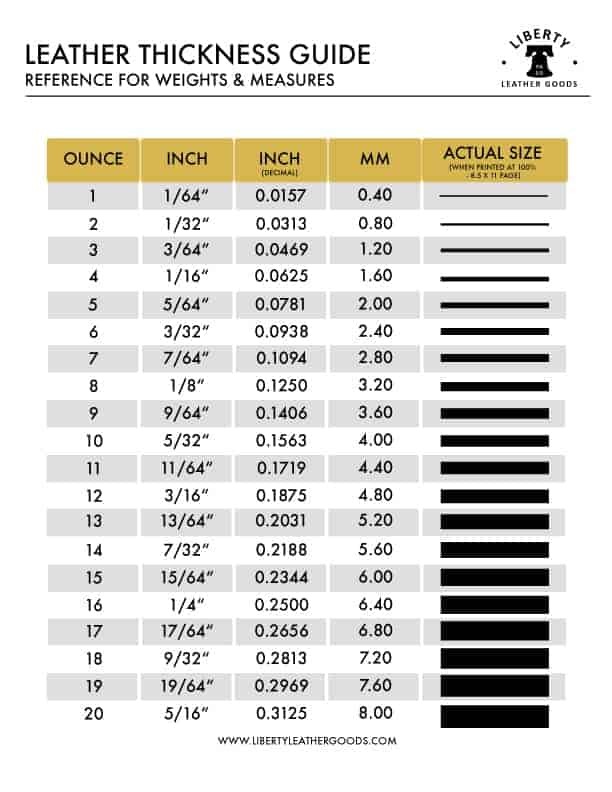 Now we might ask, how are thickness measured, and what does it all mean?? Let’s take a look. If you’d like a copy to print out, click here to download a PDF version. 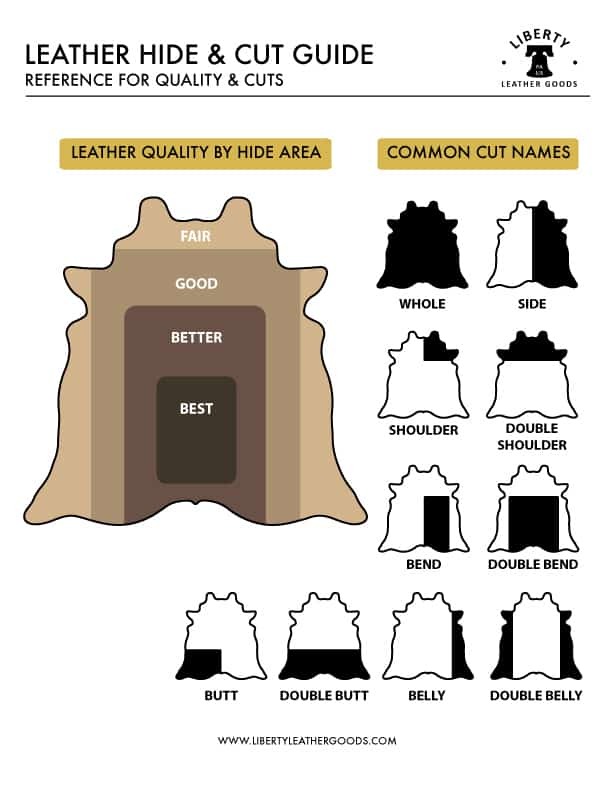 Each hide might vary slightly in thickness across the hide; leather weights are usually provided in ranges (such as 2oz – 3oz or 7oz – 8oz) to account for these slight variations. 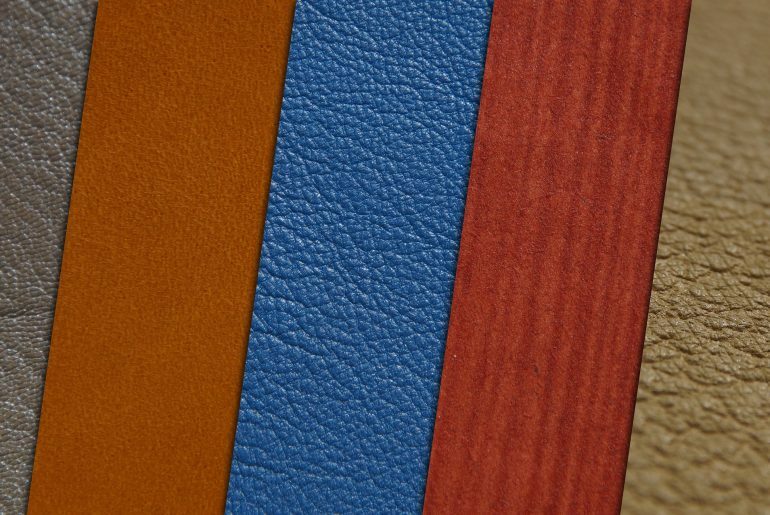 So when considering what leather to use for a new project, while there are so many options available, never fear, with a little knowledge it’s easy to choose the right leather thickness, weights, & cuts. 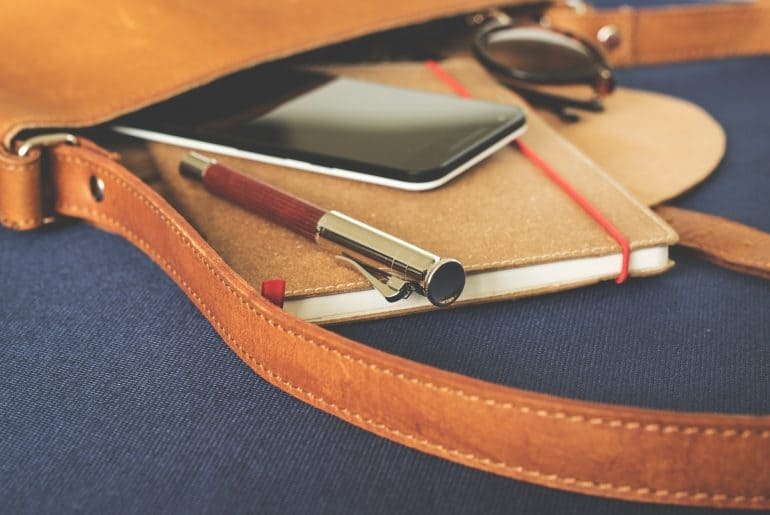 With some experience, you might develop a preference for a certain leather working styles based on the type and weights of leathers you like best and enjoy the most. Do you have a favorite leather or something to add? Leave a comment below.